Makeup Revolution is a brand I haven’t yet completely fallen in love with. I don’t like the whole copycat aspect on which their brand was built on, nor was I convinced by half of their product I’ve tried so far. But one thing’s for sure. Their blushes are to die for. 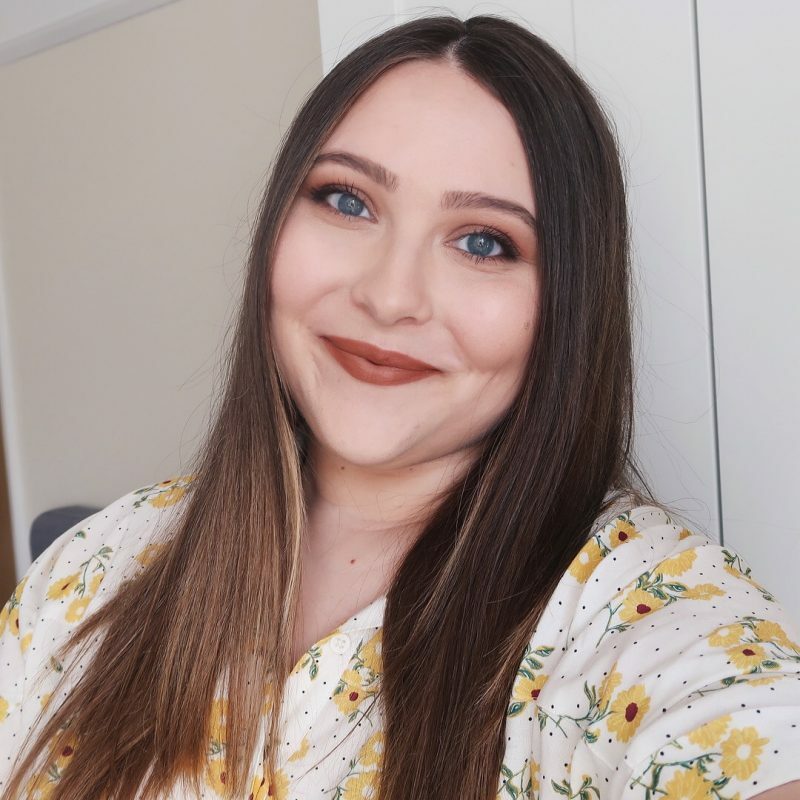 I’m still head over heels with their cream blush I reviewed here, and currently, I’m obsessing over the new Sugar & Spice palette. 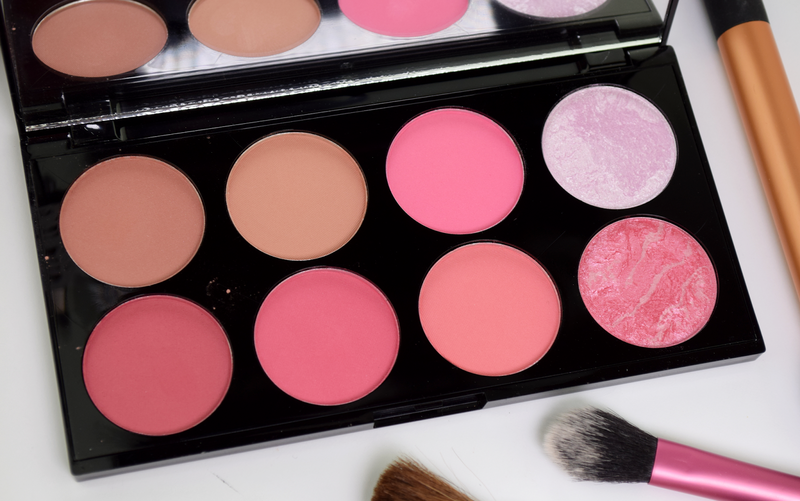 Sugar & Spice Blush & Contour Palette contains eight powder products with a satin to matte finish. They are smooth, easy to blend and extremely pigmented, so you have to be very light-handed when working with them. Trust me, you can quickly turn yourself into a clown if your brush picks up too much product. The two top left shades are supposed to be contour powders, but I would never use them for contouring. They have a slight pink undertone, so I think are better off being used as blushes. 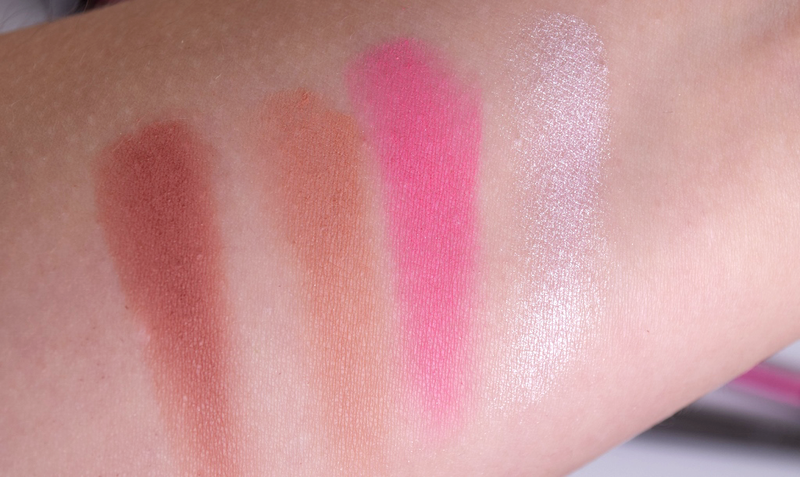 I personally like to mix them with the coraly pink shade that can also be found in this palette (second right on the bottom), and the result on the cheeks is just stunning. Then there are two baked, shimmery powders, which can be found on the right side of the palette. 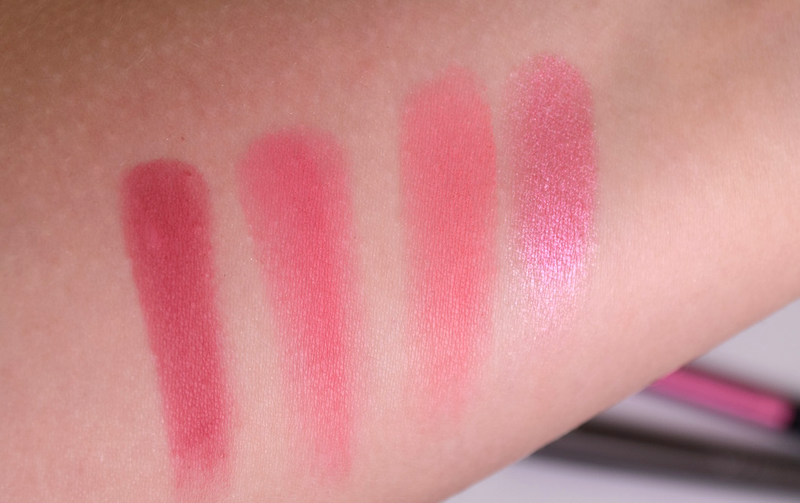 The top one is a highligher with a purple undertone, and the bottom, a shimmery pink blush. Again, I use these for different purposes – as eyeshadows – since I prefer to use pure ‘white’ highlighters on my face and don’t really wear heavily shimmered shades as a blush. I recently created a really pretty eye makeup look with them, along with some other shades from the palette, so I think I’ll be filming the tutorial later this week. If you’re interested in seeing it, of course. Last but not least, the palette includes four pink blushes, ranging from deep to hot pink shades, and as mentioned, there’s also a gorgeous corali-ish pink shade thrown into the mix, which I absolutely adore! Hands down my favourite shade from the palette. I’ve been wearing it non-stop for the past month. 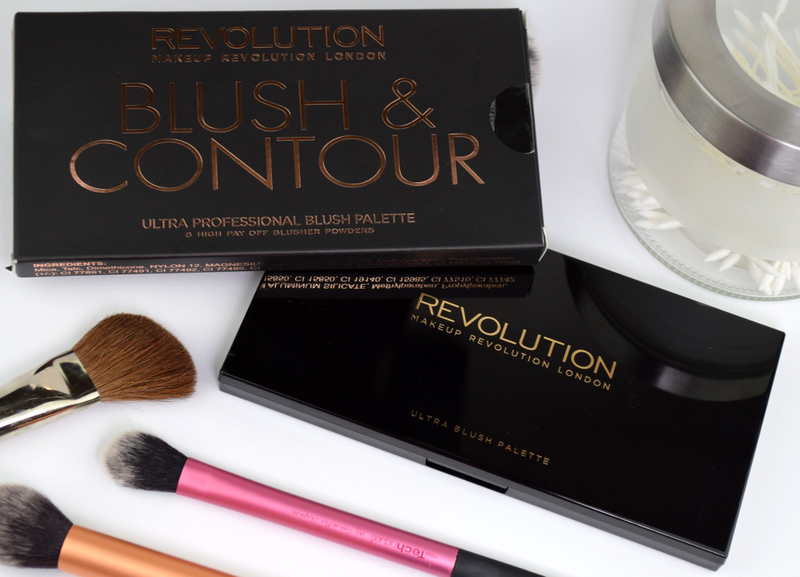 If there’s only one Makeup Revolution product you’ll be getting, get this palette. The quality of the blushes is amazing, and the packaging doesn’t disappoint either. It doesn’t look or feel cheap. For six pounds, it’s an absolute bargain! Some of their products are great, and some of them not so great, so it's really great if you check out the reviews before you buy anything first. Their blushes are definitely worth a go, though. Super swatchi. V bistvu so tvoji prvi, ki me res prepričajo. Na začetku sem bila navdušena nad paleto, ampak pri večini blogerk so se mi zdeli blushi preveč podobni, da bi jih bilo vredno kupiti. Hvala! Tudi meni so se prvo zdela rdečila preveč podobna, ampak ima vsako nek svoj podton, tako da si dejansko niso tako podobna, kot se na prvi pogled zdi. Tale odtenek je res popoln! This one is definitely worth the money! Tudi meni je super da so vsi zbrani v eni paletki, mogoče si jo še celo omislim. Vendar imam preveč blushev. I've been using it every day for the past month too. Love it!